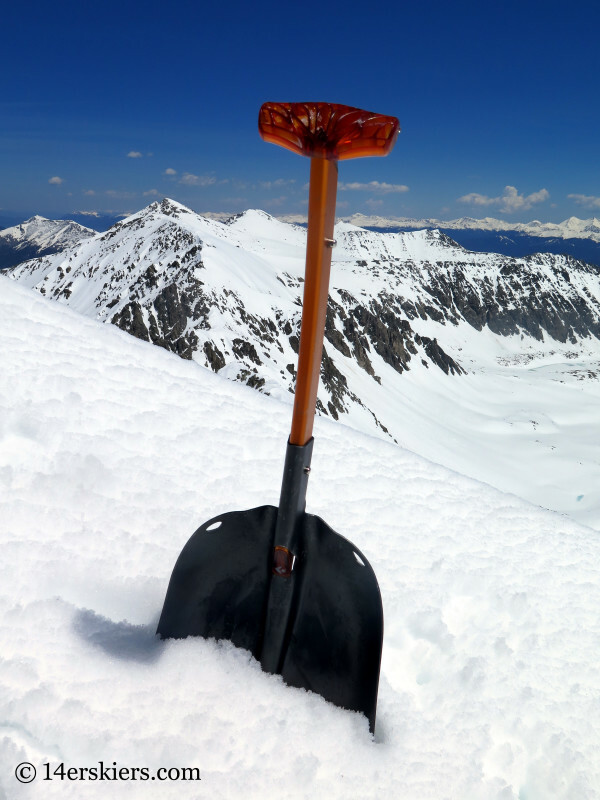 A shovel is not something you really think a lot about in the skiing world – until you actually need it. I’ll be honest, I’ve only had to use my shovel to make snowpits and dig snowmobiles or cars out from being trenched under. I’ve never really had to put it to the test. But, then one day my shovel broke. I know, right? How could those things ever break. But, it it did. So, I went on the search for a new shovel. 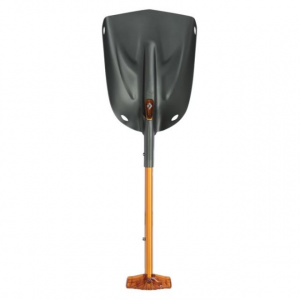 The Black Diamond Deploy 7 avalanche rescue shovel. I ended up with the Black Diamond Deploy 7 shovel and I like it. First, it has a fairly wide blade – just about as wide as I can have fit in the avalanche tools pocket in each of my backpacks. Supposedly, the volume of the shovel is 0.7 gallons (2.65 Liters), hence the number associated with the name. The wide blade allows it to shovel a good volume of snow with every dig, which is noticeable when you’re trying to dig out your snowmobile. Last, the Deploy shovel feels like a hardy boy. It’s not the lightest shovel, but it’s stoutness allows it to cut through solid chunks more easily than more lightweight shovels. 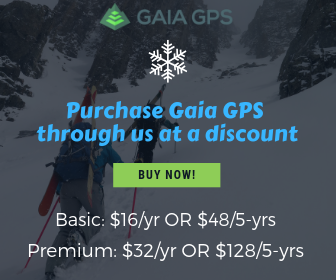 The Deploy 7 is a good avalanche rescue shovel and I’d recommend it to any backcountry traveler who ventures into avalanche terrain. 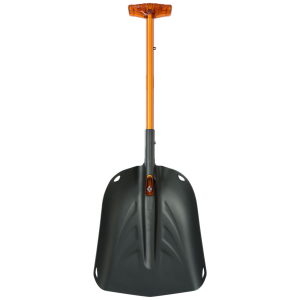 It’s design allows for quick deployment, the girth allows for quick shoveling, and the heftiness allows it to cut through dense snow and ice more easily – all important characteristics for when you actually need a shovel like this. 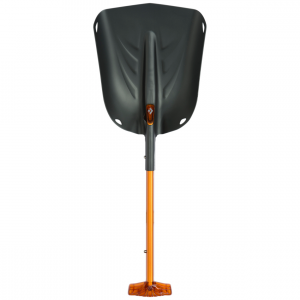 The Black Diamond Deploy 7 shovel is designed to deploy in one quick move, saving valuable time for when you actually need it. 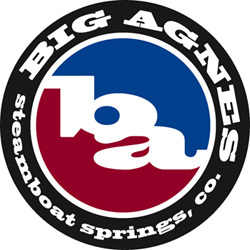 Read the full review! Hi Justin.  We’ve had 3 different versions of the BCA Float 32 now. The last 2 versions have seemed to carry quite well. This latest, is the lightest of all 3 and it has an adjustable back panel so it can be adjusted for all heights – good for us small women. Overall, I like it. They have added another hip pocket so there’s two now, which I like. There’s a sweet ice axe carry system. The helmet carry is slimmer, which holds the helmet better, but the placement of the top clip for it prohibits getting into the goggle pocket. The only other problem with it is that the inside “small tools” pocket is especially hard to get to because it’s tucked inside the main compartment and behind the goggle pocket. To address your zipper access into the main compartment, there’s actually 3 different zips on one zipper which allow for easier access into all parts of the main compartment. It’s a pretty cool idea, really.